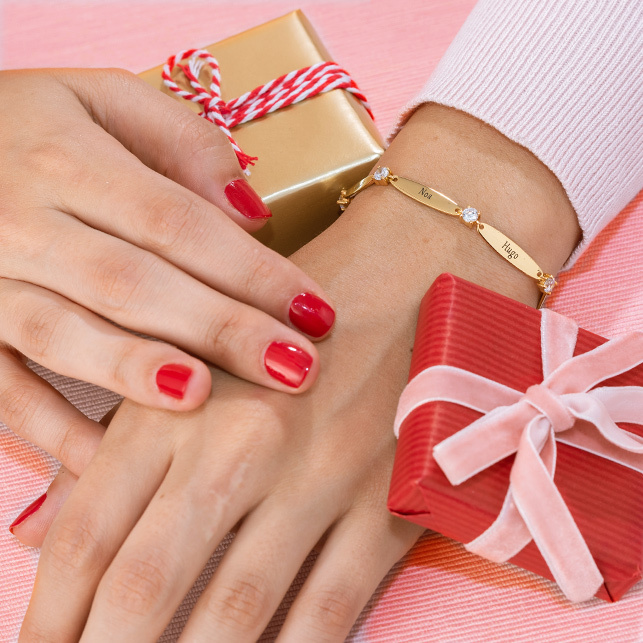 Melt their heart with a personalised diamond necklace! Our Heart in Heart Necklace in Gold Plated with Diamonds is certain to be among their favourite accessories. 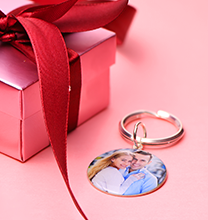 Just right for sharing a message of love with your significant other, this beautiful piece is also ideal when styled as a special gift for mum or grandma. Our designers did a magnificent job with this spectacular necklace. The look begins with the gorgeous gleam of gold, which showcases the outline of two interconnected hearts. 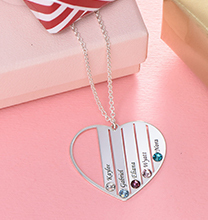 Each heart features a diamond accent, which provides the perfect touch of sparkle, making this necklace extra special. 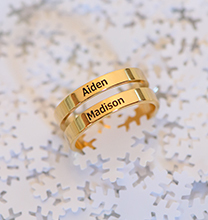 Last but certainly not least, each of the hearts is inscribed with the name or word of your choice. There are so many ways to make this necklace unique! 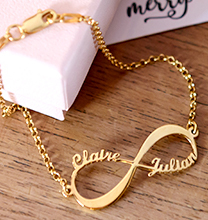 If it’s for a significant other, you might want to add each of your first names, or you might prefer a two-word sentiment such as “Forever Love,” “My Star,” or “Together Always.” If the necklace is for mum or grandma, you might want to add the names of two children or grandchildren, or you might want to go for a short message such as “Family Always,” “My Mum,” or “Our Family.” However you style it, it is certain to be cherished! This exquisite necklace is made with 18ct Gold Plated 0.925 Sterling Silver. The pendant hangs from a matching Gold Plated Sterling Silver Bead Chain. 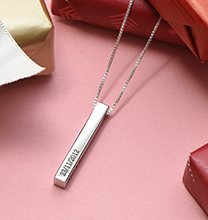 You’ll find even more to love in our heart shape necklace collection, including this heartfelt style in your choice of Sterling Silver or 18ct Rose Gold Plated.